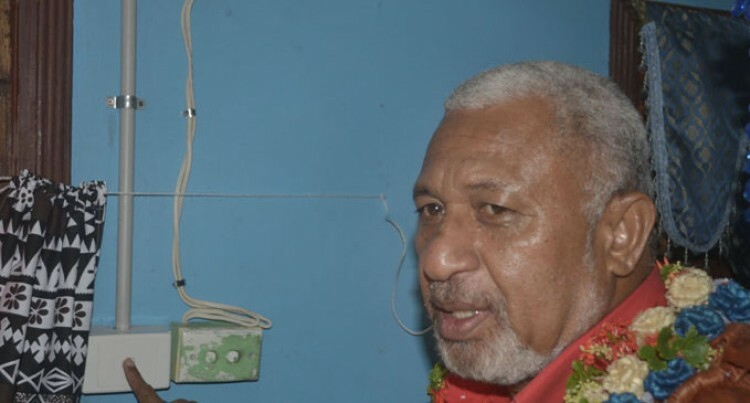 Nine households in the Loqi Settlement near Bavu Village in Nadroga could now enjoy preserving their food and watching their favourite TV shows. This was after the Prime Minister Voreqe Bainimarama commissioned the new rural electrification project worth $38,000 in the settlement yesterday. Rupeni Tuse, 50, was among the happy dads who could enjoy keeping their food preserved with the help of the refrigeration. “Those dark ages are gone. We have been living here since 1972 with my father,” he said. A stone’s throw away lives a farmer Anald Kumar, 52, who has been toiling the land since 1965 with his family. He was over the moon as well. He said it was a pleasure to see great progress and development in the West.